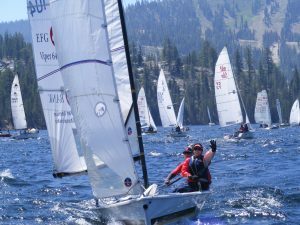 If you’ve never attended this Fresno Yacht Club event at Huntington Lake, in the Sierra Mountains of Central California, there are many reasons to add it to your “must-do regatta” list. For those of us in Arizona the excuse is very simple – it’s a way to get out of the crazy heat. There are many more reasons to make the effort to attend if anyone wants to start a list. I decided to tow my new Viper 640 (see www.viper640.org) there as soon as it hit 100 degrees here in Arizona. 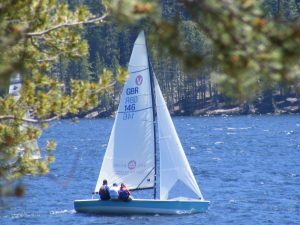 The lake itself, at an elevation of 7200 feet, is spectacular, surrounded by the tree covered mountains of the Sierra National Forest. This year it was even more spectacular as there was still snow on some of the surrounding peaks. And as usual the wind gods provided great sailing conditions by turning on great breeze each day prior to the start of racing and then promptly turning it off when we were done. Is there anything better than sailing in great winds (there were plenty of times it was white-capping) on fresh and clear water? The temperature dropped to a very cool 34 degrees the first night and from our cabin sites overlooking the lake, the water looked so calm the next morning that I was convinced the lake had frozen over. We enjoyed great dinner and drinking sessions each evening back at the cabins, where we got to know some of the newer members of our ever-growing Viper ranks. The social side of our fleet really does add to the positive experience for all involved. Thanks to Tim Carter from Alamitos Bay YC, Long Beach, a few of us also managed to secure slips that were right by the starting line which made it very convenient to go racing each day. This also helped when crew showed up late from partying too much the night before and we were already in sequence as the last of the boats left the dock. Despite all the local distractions we managed to do three days of great racing. The Vipers looked really impressive against the other sport boats that attended and we were often passing both the J80 and Melges 20 early in the first downwind leg despite giving them a 5 minute earlier start. On the last day we sailed (more like “smoked”) through the Wylie Wabbit fleet on the final downwind leg and received many positive comments from them afterwards. 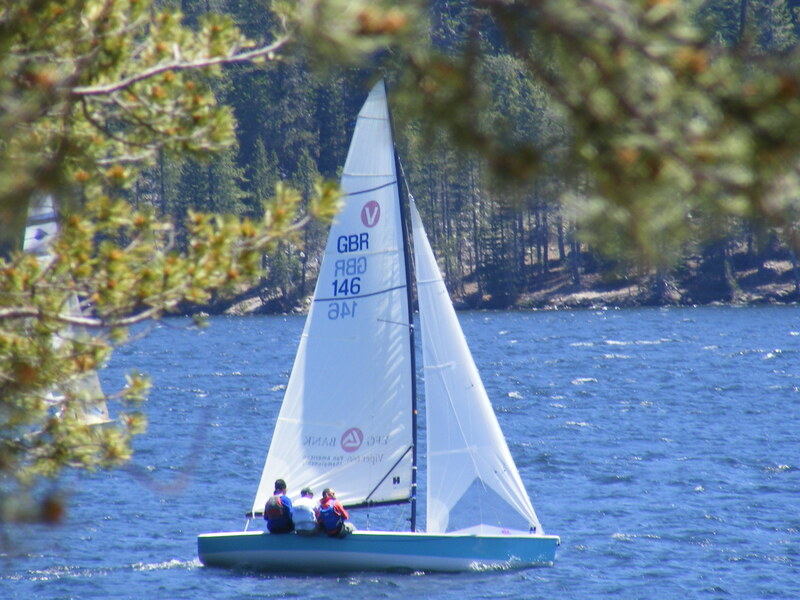 Having seen Tim Carter truly trounce on the competition at Long Beach Race Week by just having better boat speed than everyone else I decided to make boat speed our priority for the regatta. It really paid-off as the final day saw us leading the fleet with a two-point advantage over Tim going into the last race. This resulted in us having one of the best tacking duels I have ever been involved in. Thanks Tim – it was a lot of fun. Thank you also to my crew of Dennis Martinelli and Luce Sahali for securing the first P1 trophy for #146. Other Arizona YC members that made the trip included Laurent Dion and Trey Harlow. Results and more info on the event are available here. Hope to see more of you there next time we visit. 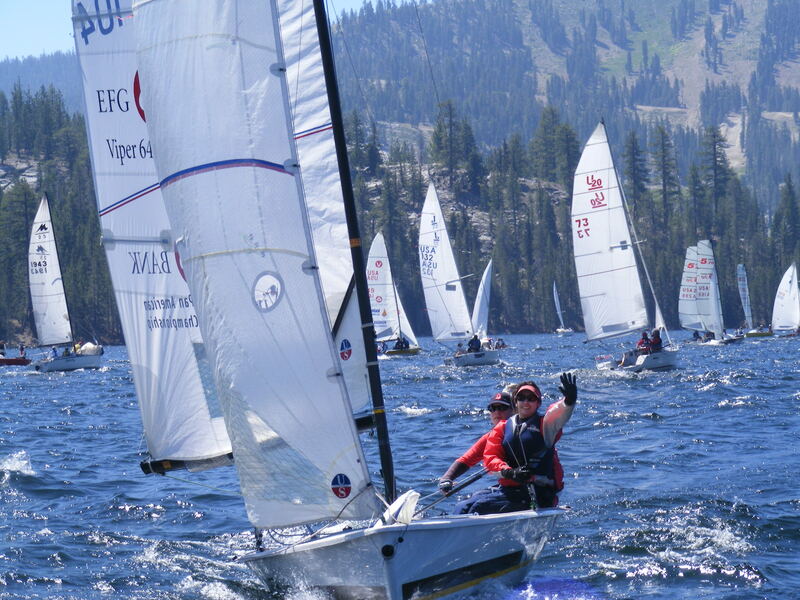 It really should be put on your “must-do regatta” list.